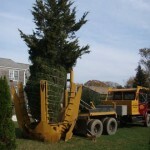 Every project is unique and centers around ensuring the highest possible survival rate. 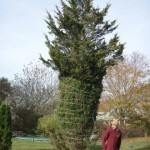 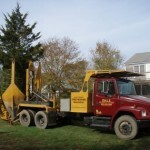 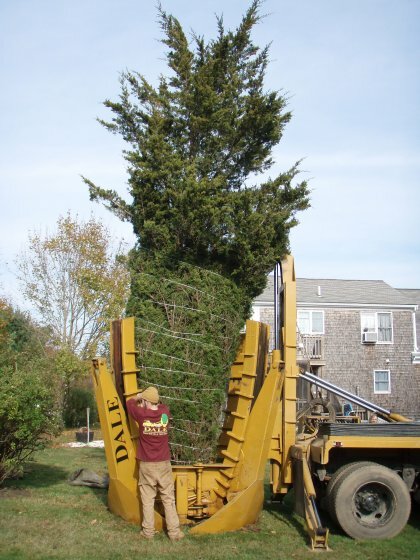 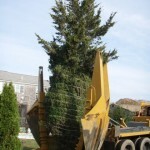 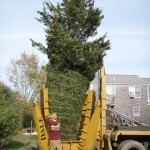 Here is one example of a 24 foot cedar transplant. 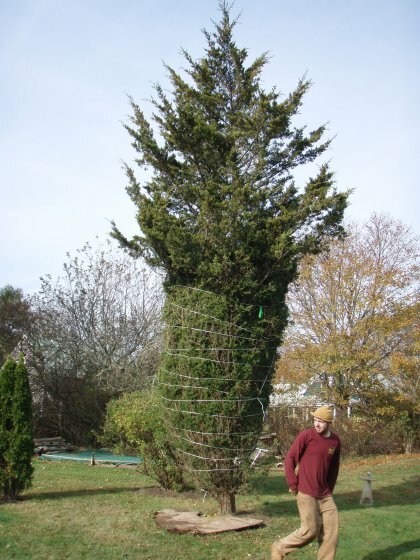 Click on the image to see it full size. 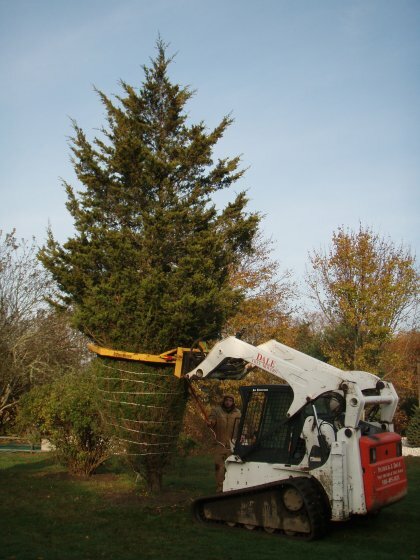 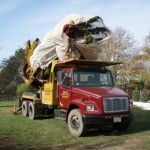 First we tie up this 24-foot Cedar. 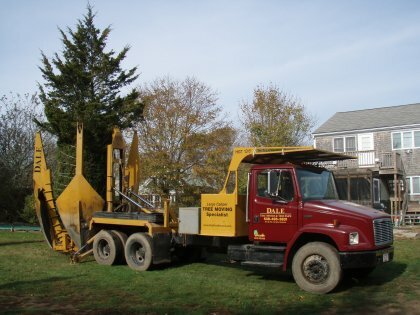 Next we back our 90-inch tree spade onto the tree. 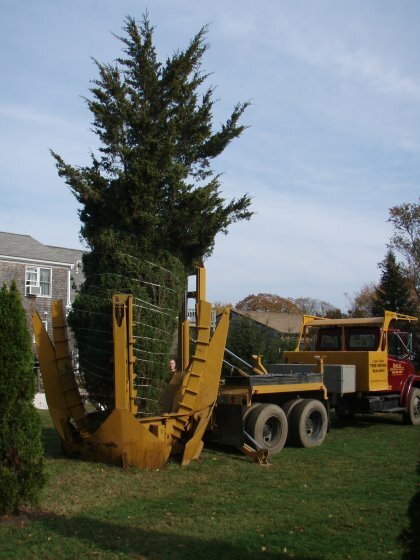 Then the tree spade is closed around the tree and centered. 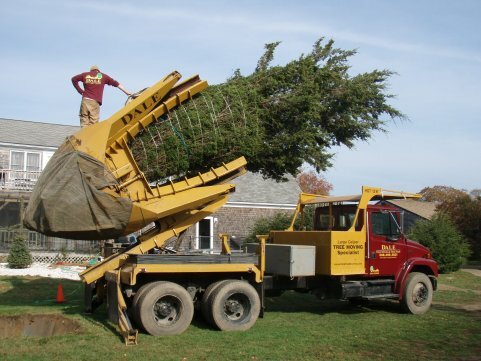 Each blade of the tree spade digs deep into the ground. 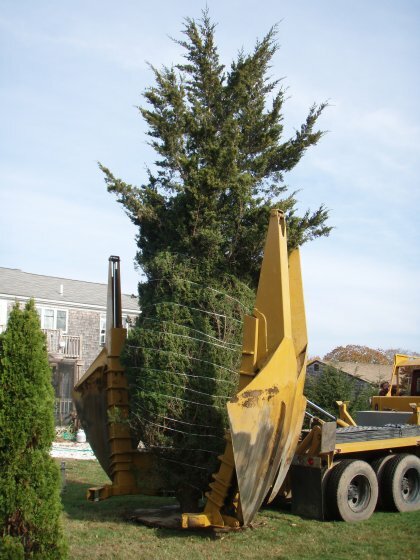 The tree has been dug and is secured within the spade. 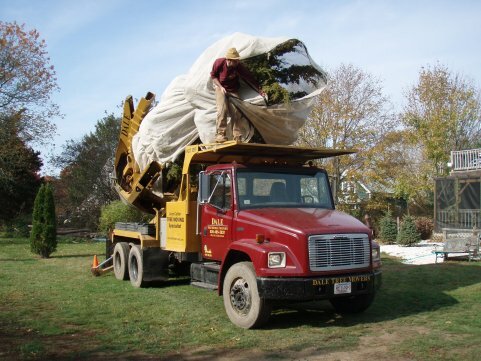 The tree is slowly tilted forward onto the truck. 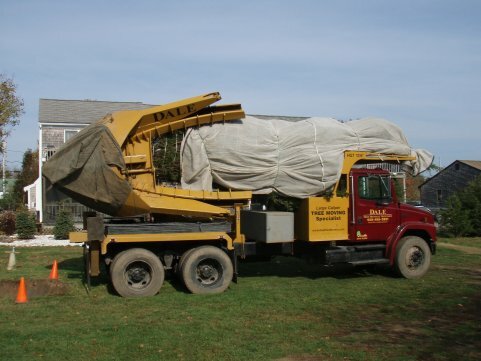 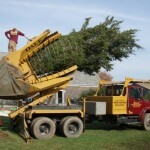 The tree is then tarped to prevent wind-burn. 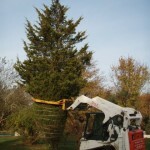 The tree is now ready to hit the road!